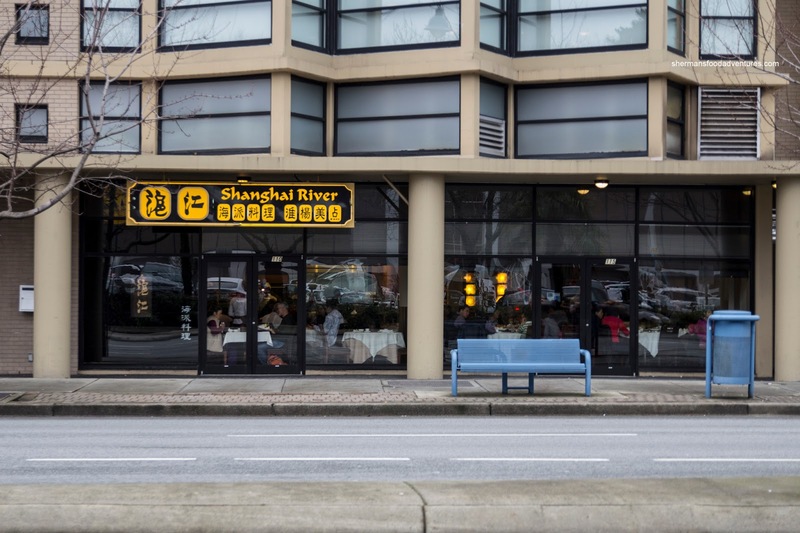 Over 4 years ago, I had this belief that Shanghai River was the best Shanghainese restaurant in town. Then I started blogging and hit up most of the other joints. It's always nice to compare and contrast the different restaurants to see if my initial thoughts were valid or not. That's why I often hesitate to declare anything the "best" because that is just not possible. Without trying everything else, it would both be premature and not representational. Consequently, I often say "there is better" because really, there logically should be and in the end, I go back to compare anyways (much like this post). Yet in reality, food is subjective, so my "best" may not be someone else's "best". But if there is a significant amount of people who like a place, then at the very least, it is a starting point. And if you agree with that or not, that would be up to your own individual experiences. So with my uncle back in town, we met up with him at Shanghai River for some lunch. As always, Shanghai River was busy and luckily we had made a reservation (which only put us into another lineup I must add), hence, we were seated with just a short wait. By virtue of our large table, we were able to order quite a bit of food, to my overwhelming joy of course! We started with the Bean Noodles & Chicken with Sesame Sauce. I personally love this dish and this one was solid. The noodles had the classic slippery texture, yet was a bit soft while the shredded chicken was moist and tender. The crunch of the fresh cucumber acted as a textural contrast. What brought it all together was the aromatic sesame dressing which was just enough in my opinion. Next up was the Chicken in Wine Sauce where there was a good mix of dark and white meat (the white meat was underneath). 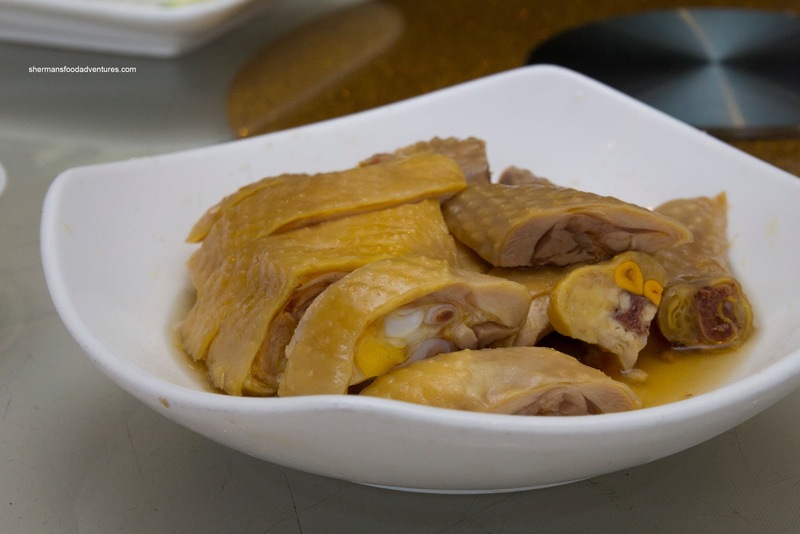 The chicken itself was prepared correctly with a layer of gelatin underneath the nicely textured skin. Being free-range, the meat was naturally a bit more chewy, but it was not dry, even with the white meat. The flavours were mild with only a modest amount of xiaoshing wine. I would've actually liked to see more impact from the wine. 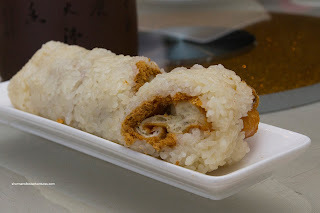 And much like any Shanghainese meal, the carbs began to hit the table hard and heavy beginning with the Chee Fan (Chinese donut, pork floss and preserved vegetable wrapped in sticky rice). The success of this item is generally based on the rice and the donut as the other 2 ingredients are pretty standard. In this case, the donut was fried in-house and to order, so that was a good start. As for the rice, it was not too dry and more importantly, not wet (and not too thick either), so ultimately, it was good. 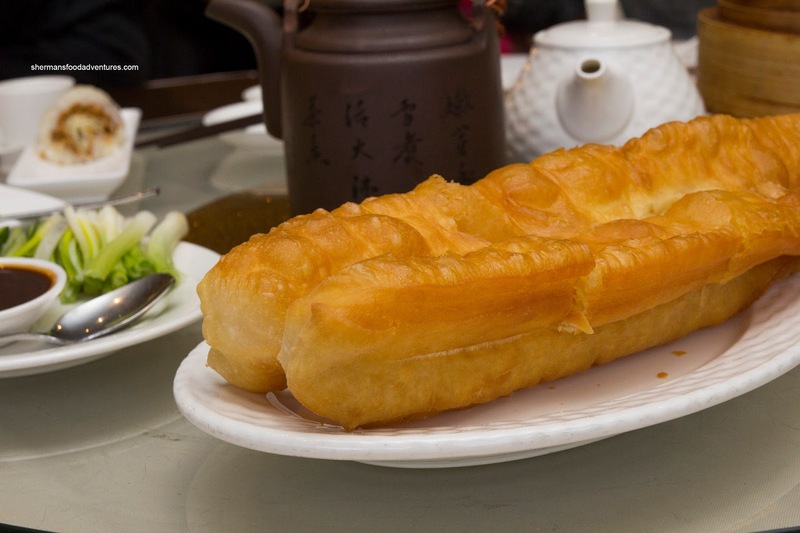 On the topic of the Chinese Donut, we got one on its own because the kiddies love fried dough. This was served hot from the deep fryer and was really crispy on the outside (without being overly greasy) and soft on the inside. It was also properly salted as it had flavour on its own. One thing that could've been better was the interior, where it was on the denser side. 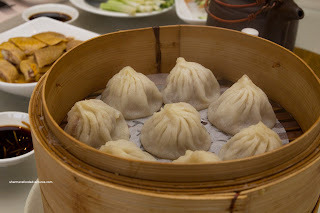 Now, what defines a Shanghainese restaurant is their Xiao Long Bao. The ones here, to me, are some of the best in town. Not the best, but you can't go wrong either. 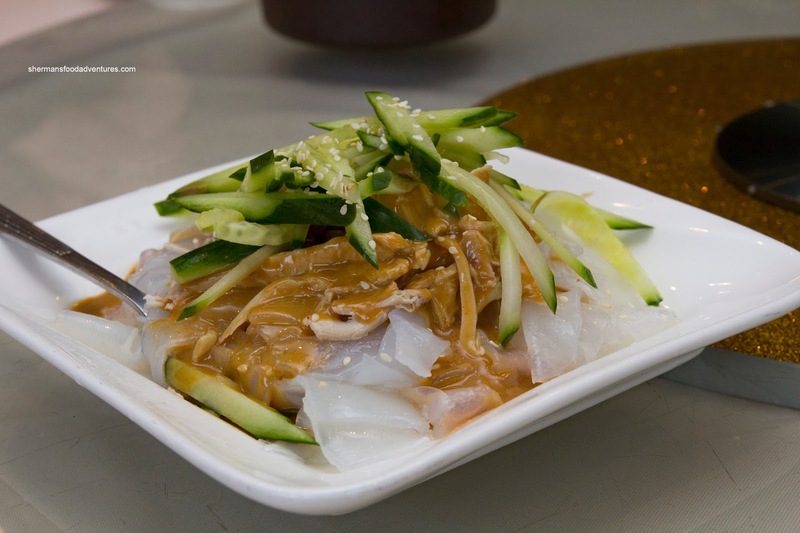 The dumpling skin was relatively thin except for the twirl on top (but that is pretty common). There was a modest amount of soup inside which was mostly sweet with only a hint of ginger. The ample amount of meat was moist, but a touch dense. 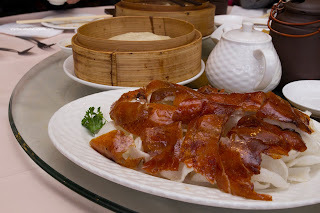 Another kid favourite is Peking Duck, so we got an order of it. Unfortunately, this was a fail. Although the skin exhibited a rich colour, it was far from crispy. Furthermore, there was an unappealing layer of fat underneath that was chewy (not the right type of duck used). What really completed the trifecta of failure was the doughy pancakes. I would strongly suggest against ordering this here. 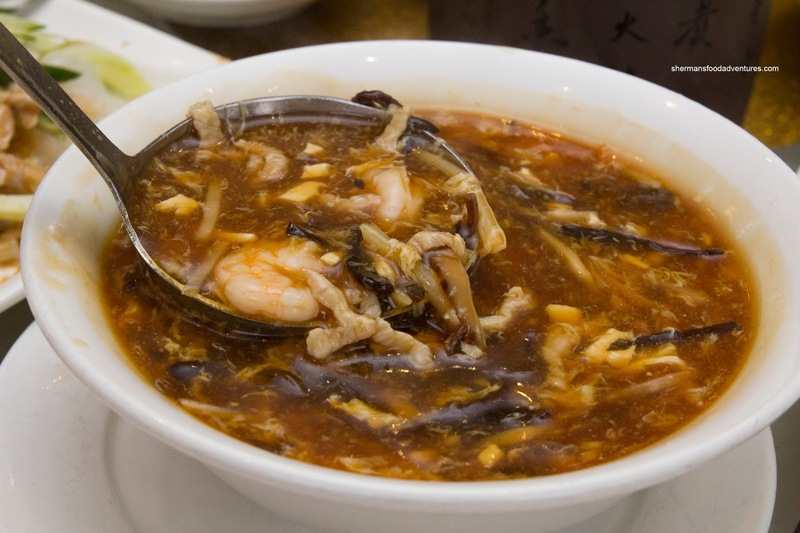 Moving along, the Hot & Sour Soup arrived with the chili oil on the side (so we could control the heat). The soup was full of ingredients including crunchy shrimp, pork, wood ear mushrooms and bamboo shoots. With a silky thickness, the soup had depth but was not sour at all. Even with the addition of chili oil, the soup did not taste like a hot & sour soup. With that being said, it was still tasty. Onto another soupy dish, the Szechuan Beef Noodles hit the table. 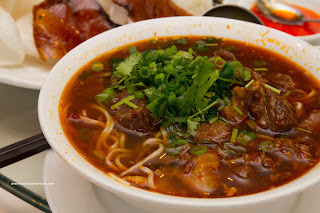 The noodles were still chewy while the soup was full-bodied and spicy. Unfortunately, the meat was rather dry though. 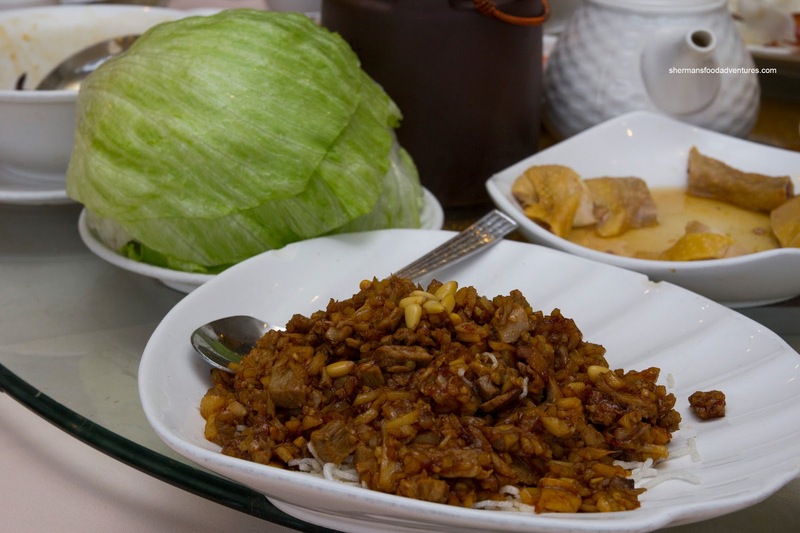 The second half of the Peking Duck was the Duck Lettuce Wrap and thankfully, it was much better than the first course. It had an appealing colour and flavour exhibiting good wok heat with crispy veggies. However, the duck itself was rather chewy. We liked how the lettuce was trimmed properly and were intact. 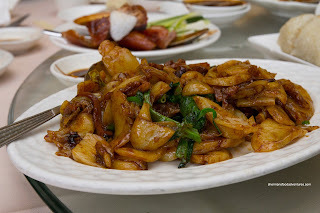 Lastly, and again more carbs, we had the Shanghai Stir-Fried Rice Cake. Exhibiting good wok heat and a rich colour, the rice cake slices had a soft, yet chewy texture. There was no absence of seasoning including a big hit of sesame oil. The accompanying pea shoots were crisp and vibrant. As you can see, the meal was decent, with some issues. Hey, nothing is perfect and overall, we enjoyed our meal. 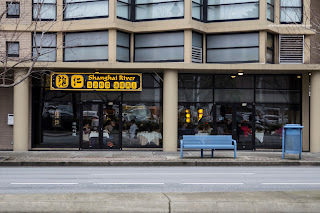 Shanghai River continues to be one of the better Shanghainese restaurants in the GVRD, albeit at a price. Bean Noodles & Chicken with Sesame Sauce... Yummy!! One of my favourite dishes... Next to the best XLBs of course! I haven't been to Shanghai River before, but I'll certainly keep it in mind next time I'm in Richmond! @mbsunshine Yes, it is a solid restaurant. Not the best at everything, but nothing terrible either, well except for the Peking Duck! where would you recommend a good peking duck in the vancouver/richmond area?